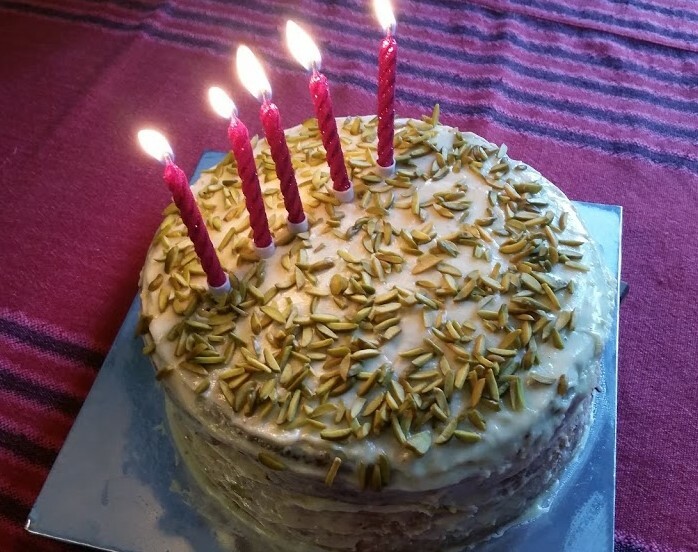 My mother loves carrot cake and for her birthday I didn’t want just any carrot cake; I wanted something absolutely sinful, yet light, so you could definitely go for seconds or even thirds! Yep… this cake is THAT good and absolutely easy to make! It’s perfect for tea, or actually, just about any time. Like do you even need a specific time to eat cake? Okay I’ll stop with describing how amazing this cake is and get on to the actual recipe! 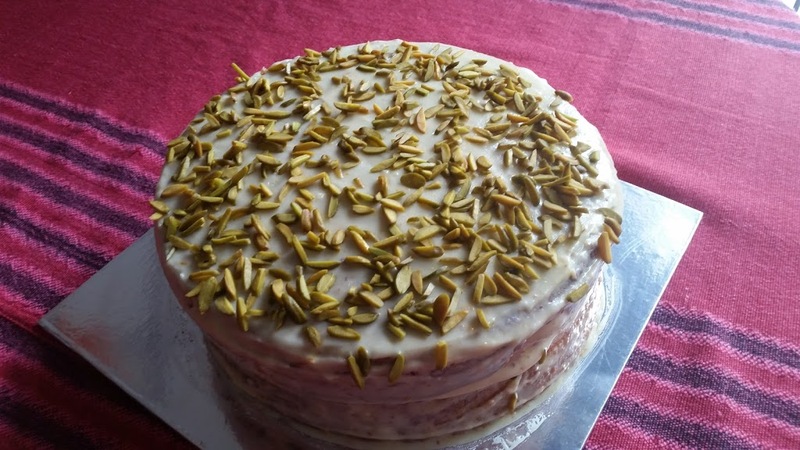 The original recipe is a single layer cake, which I doubled to make it more special. The recipe is adapted from 1 Mix, 50 Cakes by Christine France. If you don’t have it already, I’d recommend you get it. The recipes are easy to follow and the results are great! Grease and line two 9-inch round tins and set aside. In a large mixing bowl, sift the flour, baking powder, cinnamon and ginger. Add the butter, sugar and eggs. Beat well until smooth, then stir in the orange juice, carrots and pecans (if using). Divide the mixture between the 2 tins and bake in a pre-heated oven at 160°C for about an hour, until the cake is golden and a skewer inserted comes out clean. Leave the cakes to cool in the pans for 10 minutes, turn onto a wire rack and cool completely. On a cake tray, place one cake, spread with a generous serving of frosting and place the next cake on top. Spread the remaining frosting over the top of the cake and around the sides (I wanted a naked cake effect) and decorate with pistachios! Place all ingredients in a bowl and beat until smooth, adding more orange juice if required. I prefer mine to be slightly thin, just in case you’re worried about the extra calories. It seems that there’s a lot of icing sugar in the frosting. However, the cake isn’t as sweet as you’d expect, so the frosting is balanced out by the cinnamon/ ginger in the cake. It’s the perfect cake for indulgence!